Relive the terror! Be a part of the Jurassic World adventure with the ultimate in dinosaur battle action! 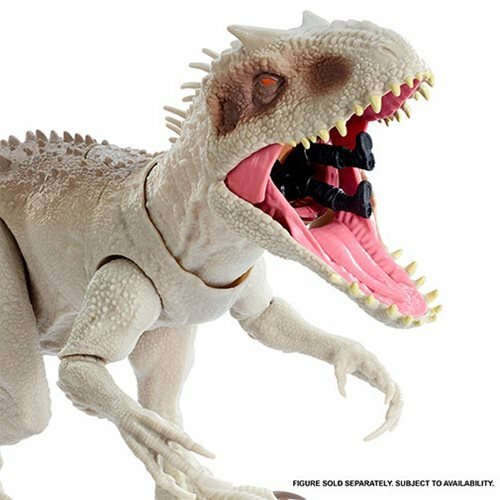 An abomination hybrid of the Velociraptor,Giganotosaurus, Rugops, Majungasaurus, and Carnotaurus, the Indominus Rex is one of the most terrifying and deadliest dinosaur ever masterminded. 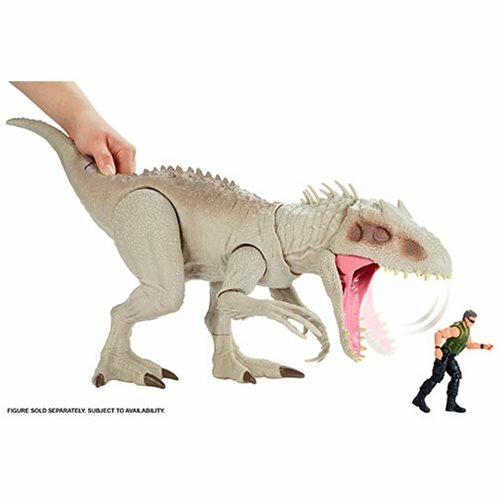 Inspired by the film, this larger-sized dinosaur wreaks havoc and fear everywhere! 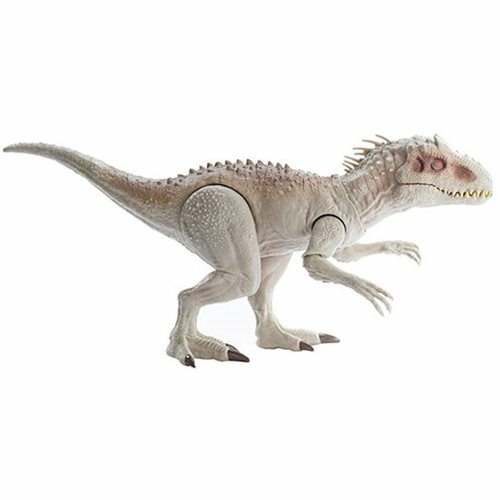 Ominous features include realistic scales, longer arms with dagger-like claws, and push button activation. 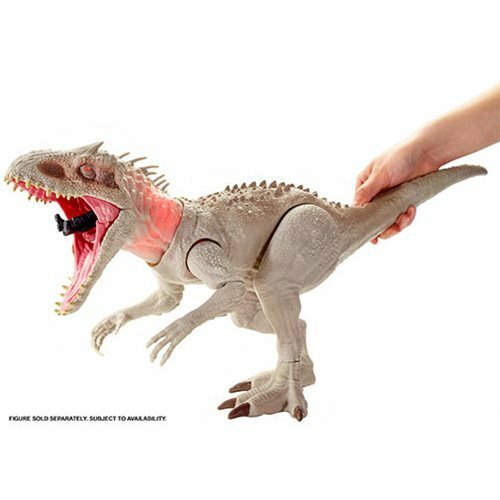 To activate, move the back button to operate the mouth and activate sound effects;also use the button to make Indominus bend down, pick up and swallow human figures. The mouth opens wide to swallow 3-inch figures in its throat. An LED light in the throat lights up to show the human figure! WOW! Now get the slashing action going by pushing the front button for arm strikes and slashing sound effects. 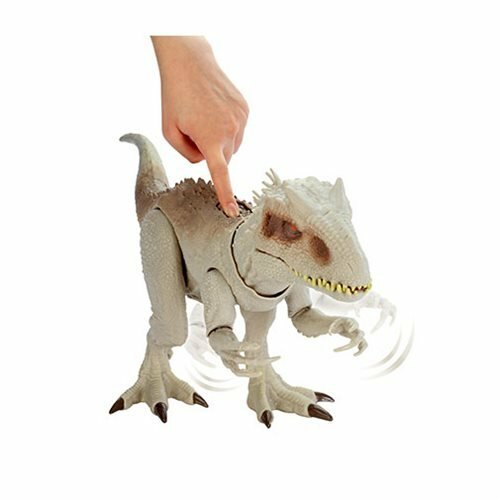 Act out ferocious battle scenes with Indominus and relive all the exciting adventure and terror of the movie! Requires batteries: 3x "AG13" (included).